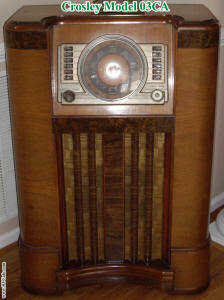 This radio has been sold - Thanks for looking! 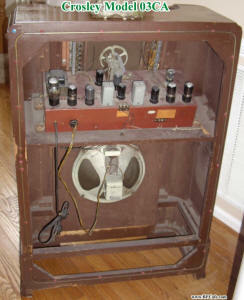 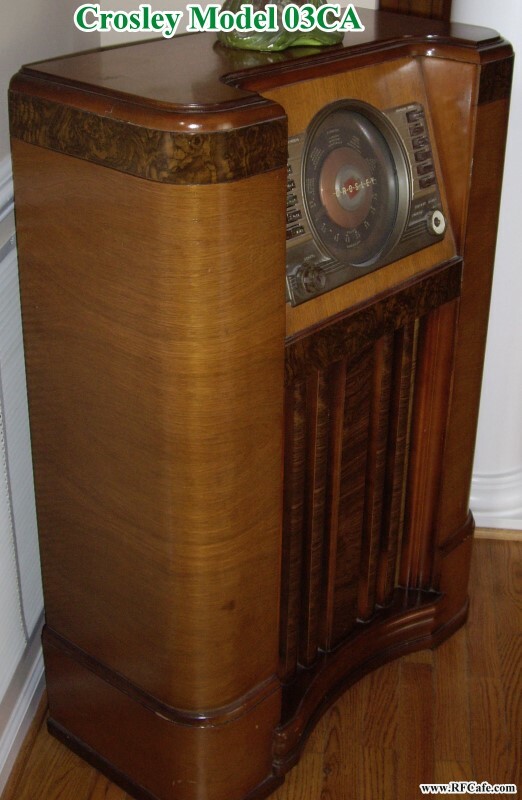 A few days ago, Mrs. <deleted>, of Herndon, Virginia, contacted me asking for assistance in selling her grandmother's Crosley model 03CA console style radio. 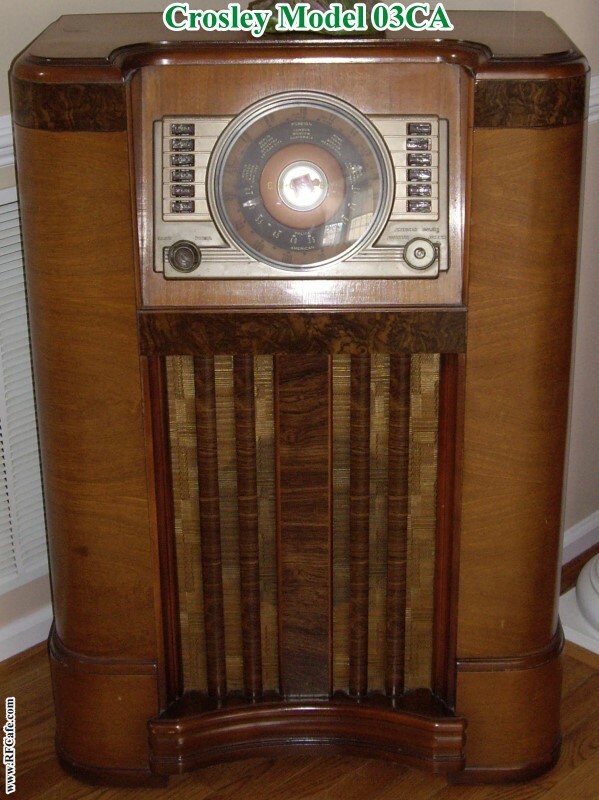 She found my Crosley 03CB radio restoration project page while searching for information on hers. According to the schematics, the 03CA electronics are exactly the same as the 03CB electronics; only the wooden cabinet is different.